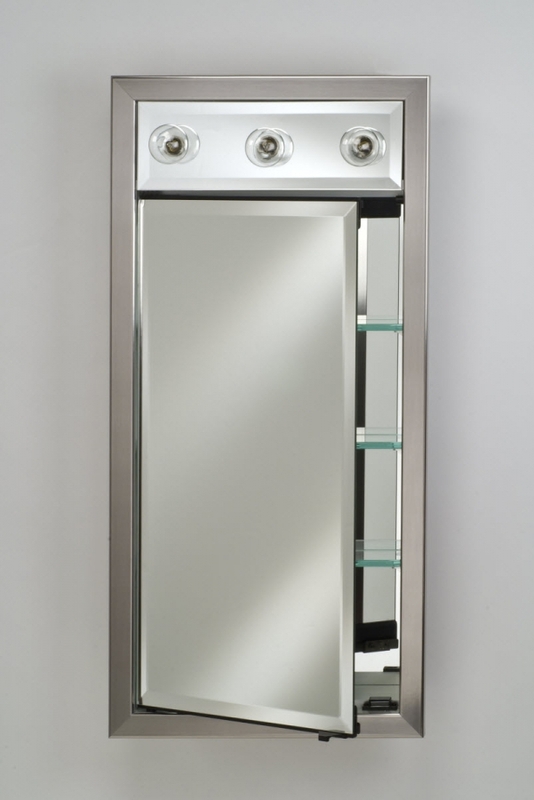 The sleek design of this medicine cabinet makes it a great choice for many styles of bathrooms. It can be customized with a choice of finishes on the frame as well as the light fixture. 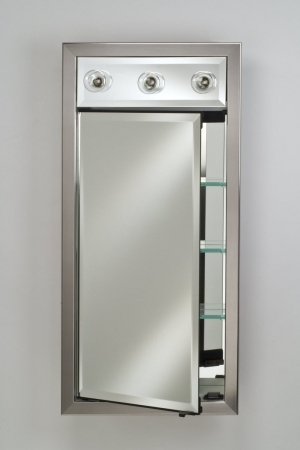 This piece not only will enhance the decor, it also offers great functionality with the mirror, the storage space and the lighting.